Chemical analysis shows presence of what was probably a primitive embalming fluid. (Inside Science) -- In a finding that mirrors the fantasy of HBO's “Game of Thrones,” French researchers working at the site of a third-century B.C. settlement have discovered evidence that Celtic communities decapitated and preserved human heads. A team of archaeologists unearthed fragments of human skulls that they believe confirm a practice of deliberate decapitation. They concluded that the skulls were either war trophies or the result of a still little understood ritual practice. 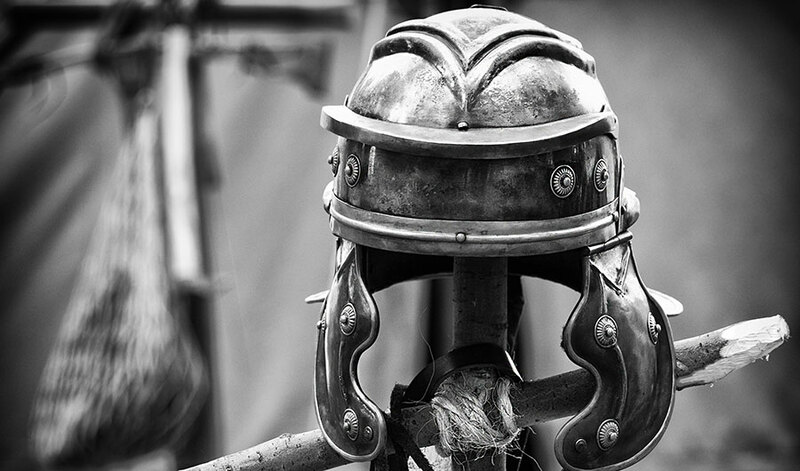 In the first scenario, the victors -- Iron Age Celtic warriors -- may have taken the heads of their enemies, embalmed them, and prominently displayed the grisly objects within their settlements’ fortified walls and gates. However, there was little tangible evidence for deliberate decapitation, despite mention of it in several classical texts -- until now. The researchers found the skull bones, along with animal bones and metal weapons, inside the settlement along the base of the fortified wall and near what has been interpreted as a gate. The skull fragments, including vertebrae, had distinctive cut marks that suggest the victims were deliberately decapitated. The first-century B.C Greek authors Strabo and Diodorus of Sicily both mention this practice. In his most famous work, Bibliotheca Historica, Diodorus wrote, "When their enemies fall they cut off their heads and fasten them about the necks of their horses. … The heads of their most distinguished enemies they embalm in cedar-oil and carefully preserve in a chest." Gosnell and his colleagues analyzed 11 human skull fragments -- mostly mandibles and fragments of skull -- from a much larger assemblage. After an analysis of cut marks found on the bones, the researchers analyzed them chemically. Six of 11 fragments of bone exhibited chemical traces of resin from trees belonging to the Pinaceae family, which includes the conifers. Thomas Garlinghouse (@garlinghouseTom) is a graduate student in the Science Communication Program at the University of California, Santa Cruz.